Having a car means freedom. It means being able to get in the car and just drive for the fun of it. It means being able to leave a place whenever you want to, because you can just drive away from it. It means being able to go wherever you want to, as long as your car can take you there. So when your car grounds you because it runs out of gas, you’ve lost that freedom. You’re stuck; you can’t go anywhere until your car gets some gas put into it. For San Diego out of gas refuel, Towing San Diego is the company to provide reliable and professional service. 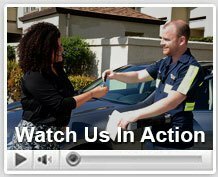 Company policies make Towing San Diego the towing company of choice for out of gas refuel San Diego. Our company agrees to honest pricing with every customer, leaving no one unpleasantly surprised when they get their bill. Just as you don’t want to receive services for a price you’re not prepared to pay, we don’t want to offer services and then charge you more than you deserve. Additionally, we are open 24 hours a day and 7 days a week so that you can always call us for help. We’ll send a technician right away to arrive at your location within a 30 minute window of time so you don’t have to wait and we can get you on your way. Our licensed and certified professional technicians will do everything possible to resolve your emergency situation and get you back on the road. Our company provides emergency roadside assistance of all kinds. In addition to out of gas refuel Towing San Diego offers car jump start, local and long distance towing, car locksmith services, car lockout solutions, flat tire replacement, and more. For your emergency out of gas refuel, we’ll bring you enough gas to get you going and then make sure you safely arrive at a gas station to get a full tank before we leave you. It’s not about just getting you out of the pinch; it’s about making sure you’re taken care of afterward as well. And it doesn’t matter what kind of gas you prefer for your car: we carry it all. 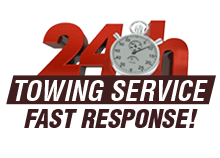 The most important bit of information we at Towing San Diego can offer you is that we are a reliable company who will put your needs first. Each of our technicians is insured so that you are covered for safety. They’re also all trained and experienced in the work of this industry, so that if something were to happen, they’d know how to work with it and keep everyone safe. Each technician is efficient and knowledgeable and equipped with all the tools to refill your gas tank and answer any other towing questions or needs you might have. Don’t try to push your car several miles to the nearest gas station; it’d be a lot of unnecessary work and would take too long, anyway. Pull out your cell phone and make a quick call to Towing San Diego, and we’ll be there within 30 minutes to get your car filled and you on your way.